The best day out of the office you can imagine ... “Team Sailing” is another of our unique hands-on experiences, which we believe is the finest sailing event in the UK! This great event idea from Corporactive is ideal for teambuilding, client entertaining, building relationships, rewards, incentives ... and for introducing new teams. The scene is set with a small flotilla of ocean-going yachts, the “crew” wet behind the ears, and the vast expanse of Lake Windermere to sail on! 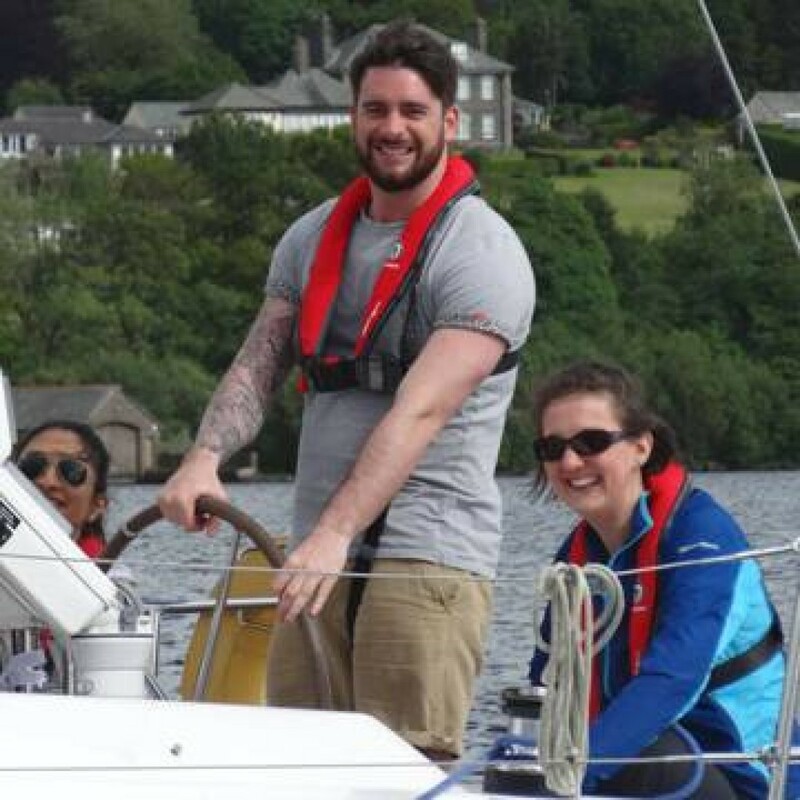 This event is fantastic fun and a real experience … without the risk of being seasick! As usual; with the unique way Corporactive approach all our events … we convert landlubbers to sailors to meet a challenge where everyone makes a difference. Only 4/5 crew per yacht guarantees maximum fun … and a genuine role for everyone. High levels of instruction combined with extensive practice, ensures guests enjoy an exciting hands-on experience in complete safety. With such small teams; we are able to train and hone the teams to perfection to compete in the ultimate sailing challenge and your grand finale “The America’s Cup”! We offer the very best sailing event experience in spectacular scenery on a large fleet and can accommodate up to 50 people. From an exclusive reward day for your customers, or employees, to large events that include more than just sailing, we are the specialists. 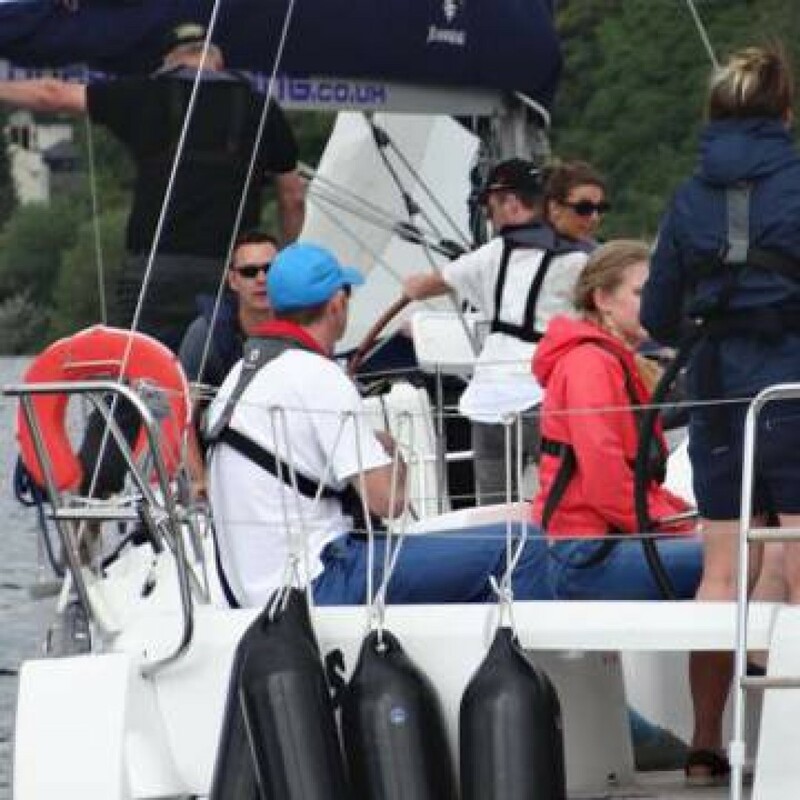 Your party will be split into teams; learning to sail and race ocean-going yachts on beautiful Lake Windermere; with professional RYA instruction. Windermere, England’s largest lake, offers ideal sailing conditions … reliable winds, no swells or tides and … therefore … no sea sickness! The day is incredibly sociable and interactive … teams are always within hailing distance, often racing close, and all the yachts are lashed together in a secluded bay during refreshments, or lunch … so you can imagine the gamesmanship, false tactics and red herrings which are discussed when they all meet! Enjoy the exciting experience of learning to sail … physically sensing the benefit of working well as a team and the joy of a shared experience in a wonderful setting. 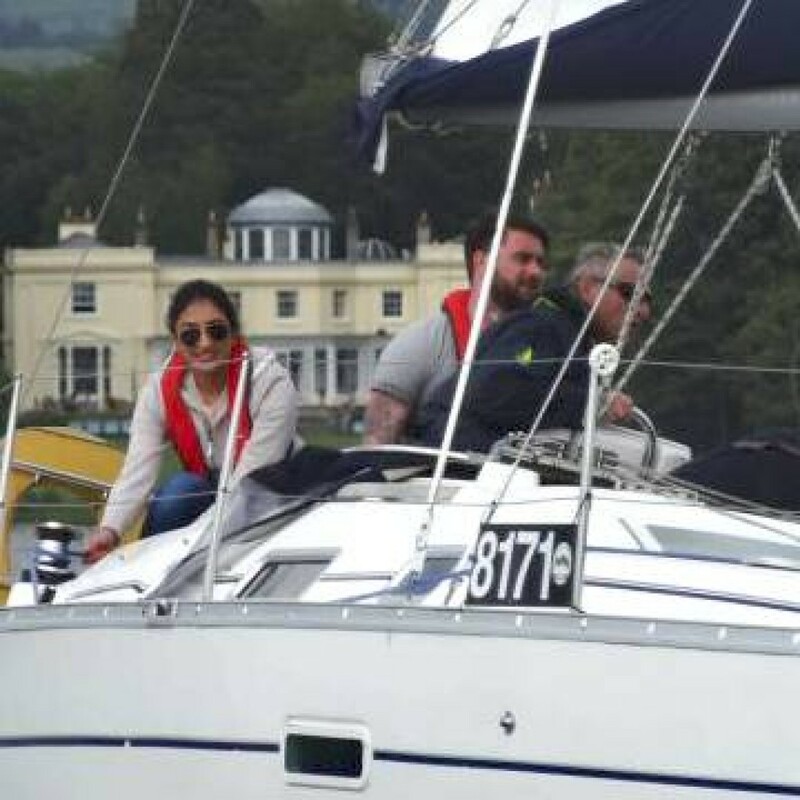 There’s the ultimate feel-good factor of getting it right, as the yachts simply pick up and go, coupled with the breathtaking scenery of the Lakes, makes this event so rewarding! 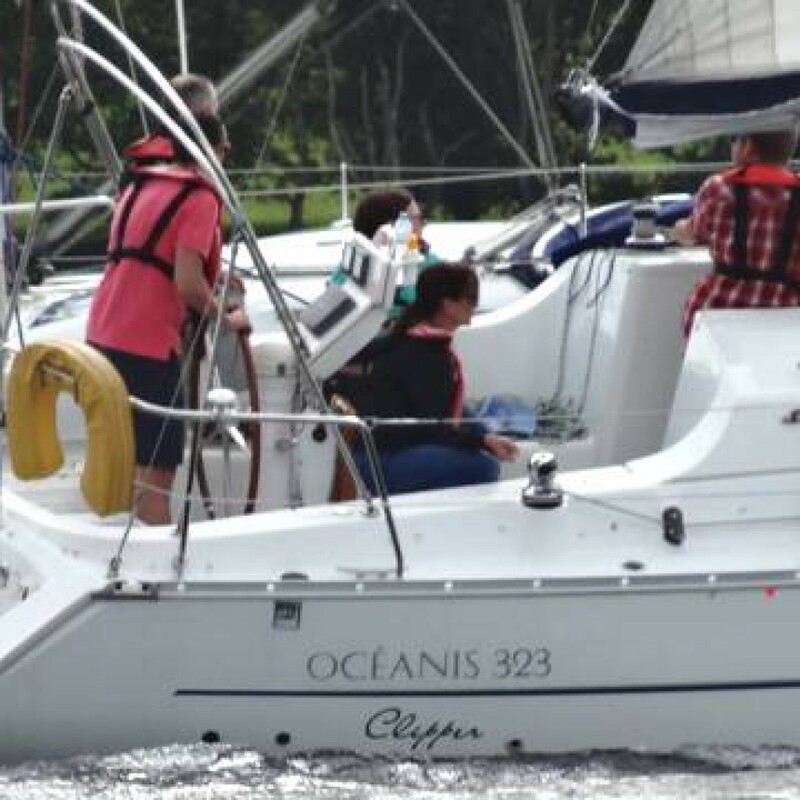 It’s really hands-on and, with RYA skippers on hand to guide you, everyone will take a go at the helm and be constantly in the action as working crew throughout the event. Match Racing is our own version of the “America’s Cup” where the racing is fast and the boats close in… real action packed fun to get every one of the crew involved. Match Racing involves head to head racing of the team boats in a match series up and down the lake with all the thrills of close, competitive, racing. Experience the start countdown and juggle for the best position on the line before the start-gun goes off. Race down the course against your competitors and out manoeuvre them to the first turn-buoy to gain the advantage… it’s exciting, close and competitive. Real close action to get every single one of the team fully involved. High excitement sailing with all the safety built in … and it is fantastic fun! We also do Treasure Hunts afloat … armed with team cameras, this a great way to let the crews work together to find and solve the clues laid out around the lake shores … a more relaxed event altogether. There are proper toilet facilities – on board! No-one will get wet – unless they choose to! No-one will become sea sick!